This beautiful home located in an upscale neighborhood features a completely remodeled kitchen, new fireplace complete with built in storage on both sides, and re-finished flooring throughout the main floor and staircase. The remodel adds style, beauty, and functionality to the home while seamlessly blending with the rest of the house. 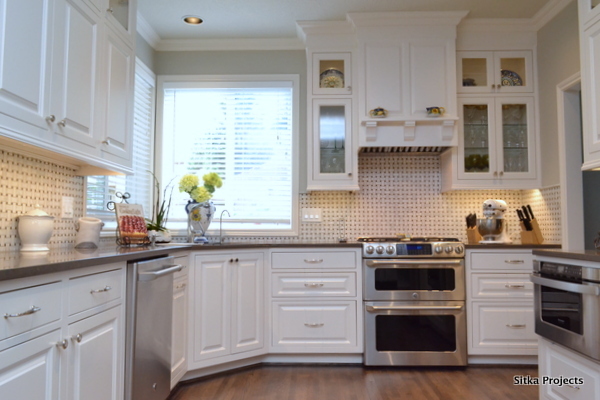 In the kitchen, outdated cabinets were replaced and reconfigured to include stunning white cabinetry with crown molding. 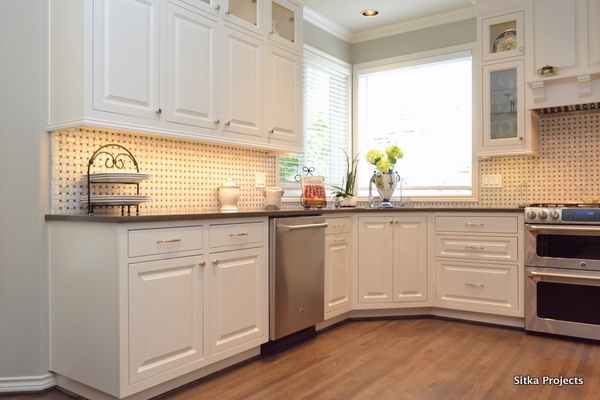 The cabinets include multiple storage solutions, such as, a custom spice drawer, built-in wine rack, slide out shelving, drawer organizers and a pull-out garbage can/recycling bin cabinet. Beautiful quartz countertops in Caesarstone Lagos Blue round out this kitchen remodel. 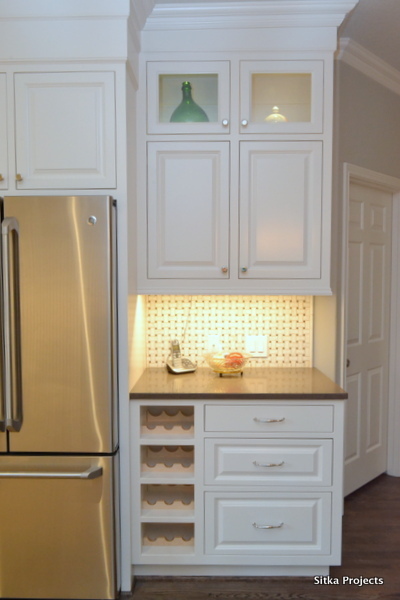 For more custom storage solution ideas visit our blog: Kitchen Storage That Will Make Your Friends Envious. To learn more about countertop choices, visit our blogs: Granite and Quartz, Marble and Concrete, Recycled Glass and Paper Composite, and Wood and Tile. Want to see more of Sitka Projects‘ work? 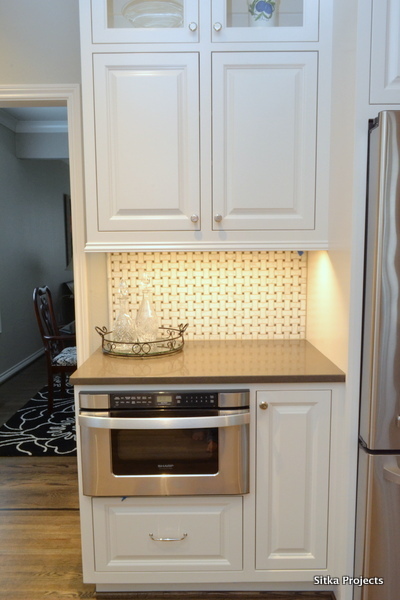 Click the links to view more completed projects! If you are looking to remodel your home in Portland, Oregon contact Sitka Projects about an in-home consultation to discuss your upcoming home remodeling project.